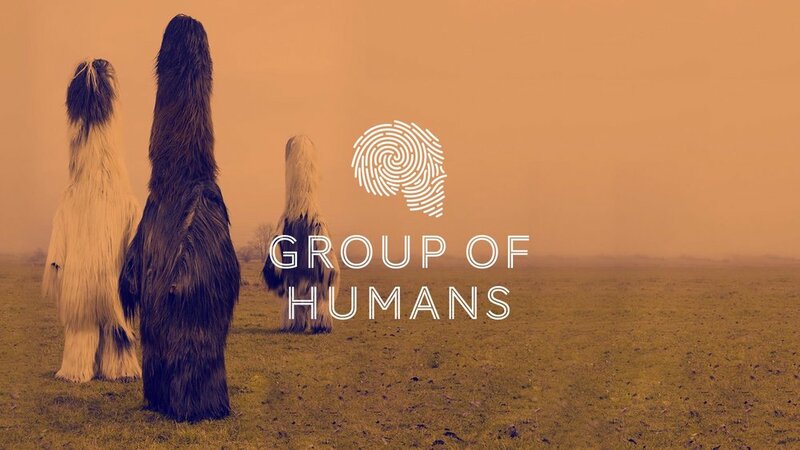 Many of you have asked me what Group Of Humans is, and why have I joined forces. So let me tell you a little bit about it. It's not often you come across a group of people you immediately feel connected to, from their collective vision and business model to the individual personalities. I have never had the urge to start an agency. After working agency-side for 8 years, I started a collaboration studio in 2009. Since then I have never had any employees, but I have worked with over 600+ extremely inspiring creatives and clients on numerous projects. This business model has allowed me to reach clients and countries on a large scale, without incurring ridiculous overheads and charges extortionate prices. So, you can see how happy I was when Chris Clarke contacted me about joining Group of Humans, a business based on very similar values – but with an ambition second to none! And when I joined this constellation of competence, it really confirmed my own creative business approach being the way forward. Yesterday I read a local article about how two advertising agencies collaborated for the first time in Swedish history. I am shocked (but not surprised) that an online publication like Resumé publishes this. Maybe it’s to provoke, maybe there are elements of truth in it. Nevertheless, traditional agencies have to change, or they really are doomed. Get rid of the rivalrous attitude to technology and innovation, stop pitching and competing, revise your ethics and design for good – happy to show you the way. A good example is the initiative in Gothenburg which literally translates to the Agency Collaboration; 72 companies break down their barriers and work together in response to the Swedish #metoo initiative #sistabriefen. Group of Humans is not an agency, we’re a distributed curated network of the best designers, strategists, technologists, and creatives in the world, all of whom share a belief that technology should be harnessed not for efficiency but for the benefit of people, society and the environment. What I also love about this group, is that we do not pitch, as it’s a waste of your time and our money. If you would work with us, we join your team and shape the response to your business challenges in a completely open minded way. This isn’t something new when it comes to Studio Theolin, it’s just very satisfying to work with others who agree. I am very excited about this! As the first Stockholm-based human, I am now looking for new clients who also believe in design and who share our belief that businesses have a duty to create products and services which help people, society and the planet. I will bring my design leadership, team curation and learning perspectives in helping your company become a Learning Organisation. In fact, I will share some insights and learnings on this topic during my talk at Inhousedagen on October 25th (in Swedish). So, if you are curious about all of this, come! Over 90% of the Humans have over 20 years experience at the very top of the business design, strategy, brand, experience, product design and human centered game. We don’t rename ourselves with the trends, or get caught up in twitter wars on semantics, we know what we do and we do it well. By the end of this calendar year we will be 150 strong. With representation in even more countries. Our diversity is natural. it’s how we grow. Founder of GoH, Rob Noble, describes why GoH do not pitch. Finding your buyer. Where did the idea of Group of Humans come from? Chris Clarke and Rob Noble is interviewed in Campaign article. Solving the Generator Function of Existential Risks with Daniel Schmachtenberger. We are looking for clients who believe in design and who share our belief that businesses have a duty to create products and services which help people, society and the planet.